It’s critical that as individuals, communities and a society, we all stand with refugees. What does this mean? It’s being an advocate and speaking up on behalf of refugees. It’s encouraging elected officials to support refugee-friendly policies. It’s welcoming a new family into a community with open arms. It’s educating others on who refugees are and that their hopes and dreams are no different than ours. I had the pleasure of interviewing Greg Gallagher and Suzy Cop. 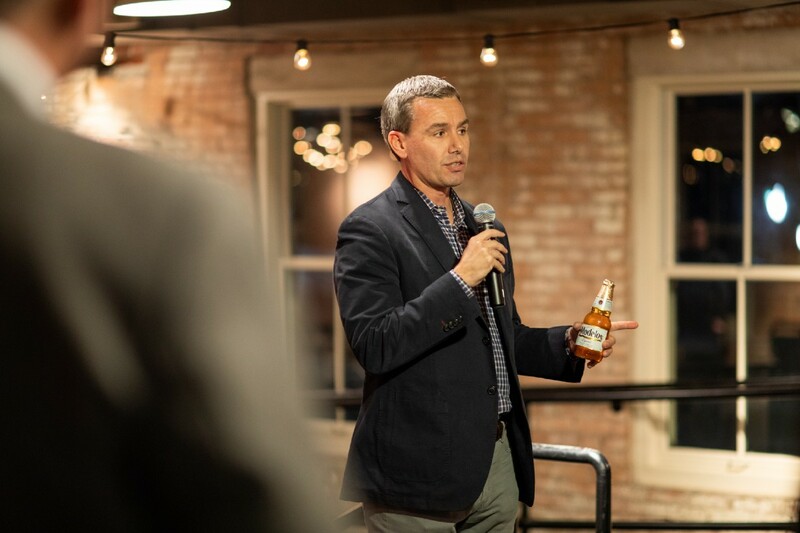 Greg Gallagher is a vice president, brand marketing in the Constellation Brands Beer Division and oversees marketing for the entire Modelo brand portfolio. He is an industry veteran with previous experience at Kraft Foods Group and Ace Hardware Corporation. Suzy Cop is the executive director at the International Rescue Committee (IRC) in Dallas. She has been with the IRC for more than 18 years, working on both international and domestic programs. Thank you so much for doing this with us! Can you tell us a story about your professional journey and what drew you to your current role? Greg: I’ve always been fascinated by the power of brands to connect emotionally with people and have a tangible impact on their lives. 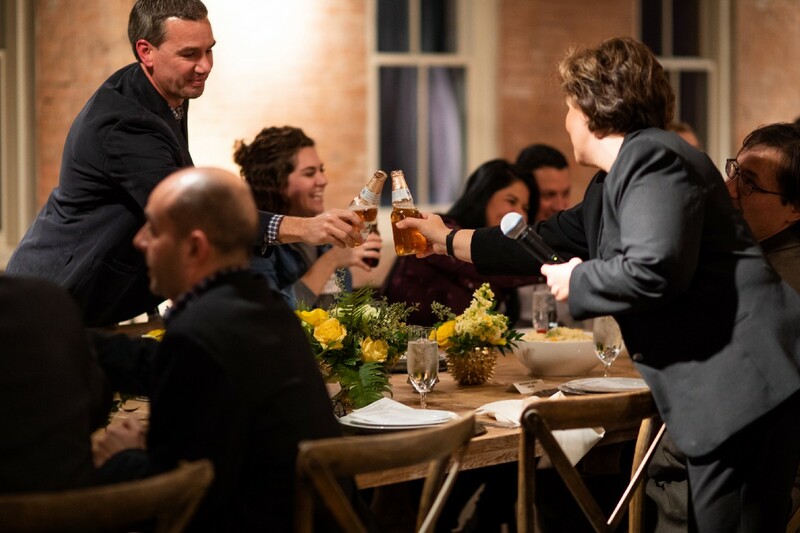 Working in marketing for a brand like Modelo allows me to make connections with consumers and build a brand they can trust to deliver the quality they are looking for in a beer, while also reflecting the values that are important to them. Suzy: I come from an immigrant family and understand some of the struggles a newcomer can have, but also what the newcomer brings to their new home and community. I can appreciate firsthand the generosity of a community coming together and giving back, and I wanted to be a part of that. Though my first experience was working overseas with refugees, I’ve also had the opportunity to work with refugees in a full arc of their journey from refugee to U.S. citizen. Can you share the most interesting story that happened to you since you began your current role? Greg: Modelo has always honored those with The Fighting Spirit™, but now, we’re helping to enable it. This year, we launched a new give back initiative to promote economic empowerment — The Modelo Fighting Chance Project. We’re partnering with nonprofit organizations across three key pillars: career development, financial stability and entrepreneurship. The IRC is the first nonprofit partnership forged through this initiative, and we’ve committed to a minimum $1 million donation over three years. It’s been an incredible experience so far. Suzy: Here at the IRC, I’ve had the privilege to witness amazing stories and be continuously inspired by refugees’ determination and profound impact on communities in which they live. This is reinforced through partnerships such as this one, where the IRC and Modelo are working together to promote economic empowerment. Greg: Through our partnership with the IRC, we’re providing refugees, immigrants and Americans in need the financial tools to achieve their vision of the American dream. And we’ve already made great strides. Our first-year donation opened a new Financial Opportunity Center in Dallas, which offers workforce development programs, career counseling and financial products (like business, auto and education loans). We also sponsored training for IRC financial coaches in 10 other markets nationwide. Looking ahead, second- and third-year donations will be distributed strategically based on areas of greatest need. Suzy: The IRC responds to the world’s worst humanitarian crises and helps people whose lives and livelihoods are shattered by conflict and disaster to survive, recover and gain control of their future. Founded in 1933 at the call of Albert Einstein, the IRC is at work in over 40 countries and 24 offices across the U.S. We provide life-saving and changing programs across the globe. In the U.S. in 2017, the IRC and its partners helped more than 31,000 refugees, asylees and other immigrants with supportive programs, served 1,700 clients through our financial capability programs across 10 offices and helped to create 134 refugee-owned small businesses and provide nearly $500,000 in small business loans through our Microenterprise Development program. Wow! Can you tell me a story about a particular individual who was impacted by this cause? Greg: Since partnering with the IRC, we’ve heard so many inspiring stories of clients overcoming obstacles. One in particular that comes to mind is Sami, who fled Afghanistan with his family in 2015. When he arrived in the U.S., he participated in the IRC’s career pathways program to find long-term employment that aligned with his skillset. Thanks to the IRC’s support, Sami now works as a concierge at two different hotels in Dallas. He shows up every day with a smile and such genuine enthusiasm — it’s contagious. I’m proud that, through our partnership with the IRC, Modelo is helping Sami and others work toward their goals and achieve lasting financial independence. Suzy: Our clients embody courage, compassion and perseverance. They have overcome incredible adversity as they have fled from crisis and conflict, and rebuilt their lives in new communities. One great example is Teresa, who fled violence in El Salvador with her family. She arrived in Dallas just over one year ago and has big dreams for herself, her family and her community. Within a week of arriving in Dallas, her family installed a barber chair in their living room and began cutting hair for neighbors. While she currently works as a machine operator at a processing plant, her dream is to pursue a marketing degree and open a successful business with her family. Individuals like Teresa make our communities stronger by bringing cultural diversity and a strong work ethic to build a better life. Greg: The goal of this initiative is to promote economic opportunity and empower people to reach their full potential, which results in stronger, more successful communities nationwide. The most important thing consumers can do to help is support organizations with a similar mission, like the IRC. Everyone can learn more about how to get involved and stay up to date on all our initiatives by visiting our website, www.Modelo.com/FightingChance. Suzy: It’s critical that as individuals, communities and a society, we all stand with refugees. What does this mean? It’s being an advocate and speaking up on behalf of refugees. It’s encouraging elected officials to support refugee-friendly policies. It’s welcoming a new family into a community with open arms. It’s educating others on who refugees are and that their hopes and dreams are no different than ours. Learn more about how to get involved by visiting www.rescue.org. Greg: In the business world, I believe true leadership is looking beyond profits and making a difference in the communities where employees and customers live and work. 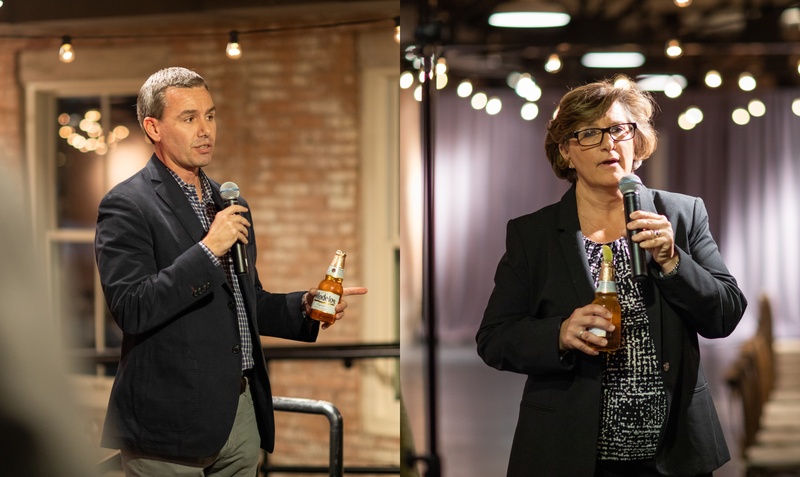 Modelo and the IRC share the vision that our customers are equally committed to — empowering The Fighting Spirit™ — which is why we knew this partnership would resonate and create a shared sense of purpose. 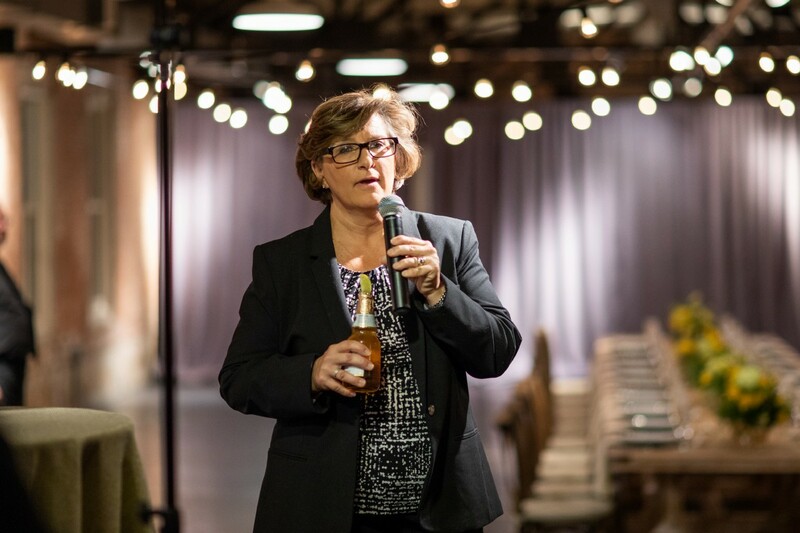 Suzy: I believe leadership is bringing a vision, empathy, dedication and thoughtful collaboration that benefits those we serve and the broader community where we work. 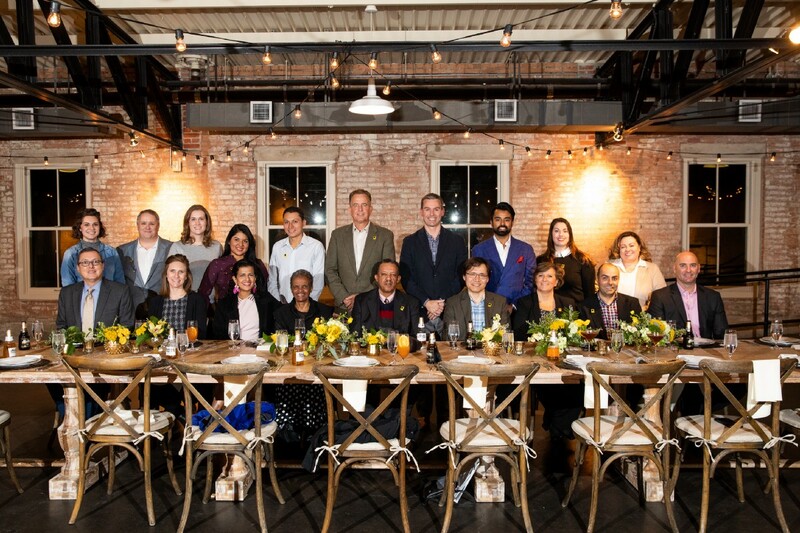 The IRC and Modelo partnership represents these ideals, as we are working together to serve a common good with lasting impact through thoughtful collaboration across different demographics. You are a person of great influence. If you could inspire a movement that would bring the most amount of good to the most people, what would that be? You never know what your idea can trigger. Greg: As a brand, we are committed not only to supporting economic opportunities, but also to empowering others to pay it forward and continue the positive impact. This type of ongoing momentum is achieved by partnering with like-minded organizations like the IRC. Our support is already benefitting IRC clients, and we look forward to helping even more people as the relationship continues. We are also committed to identifying and working with other relevant organizations to further this mission and movement. Suzy: I think that before you can truly inspire, motivate and influence, you need to connect. We at the IRC are committed to making those connections at both the client and community level. We work with our clients to provide critical programming and resources so they can reach their full potential, which ultimately helps build more successful communities across the country. Greg: Modelo’s Fighting Spirit mantra is — “It doesn’t matter where you’re from, but what you’re made of.” — and that resonates with me personally. It’s why I’m so proud to be involved with this campaign and extend the message into action. We’re giving people a fighting chance to succeed, no matter what challenges they face in life. Suzy: “The value of a man resides in what he gives and not in what he is capable of receiving.” This quote by Albert Einstein continues to inspire me, and working with the IRC for all these years has given me an opportunity to really live it. I see this philosophy in my co-workers as well as the clients we serve — even though we are here assisting them, they in return give so much back to us and their communities. Greg: Be sure to follow #ModeloFightingChanceProject and connect with us on Facebook, Instagram, Twitter and YouTube. Suzy: You can learn more at www.rescue.org and follow the IRC on Twitter, Facebook and Instagram.